Initiated by the streetgame conspiracy, the Play:Vienna festival debuted in 2012, featuring 23 local and international artists, 20 games and about 800 players over the course of a weekend. If you missed it back then, this year's festival is your second chance to dive into the wonderful world of street gaming! The festival base is your main entry point for most games of the festival - it is situated at Raum D at the Museumsquartier. (#55 on this map) Come there to get information, to sign up for games, to meet other players, talk with the organizers and most importantly to head off to games happening in the vicinity. The conspiracy consists of a diverse range of people. We are artists, journalists, computer programmers, academics, game designers, theatre makers, and wearers of many hats (literally and not). Make sure to sign up to receive all the latest news regarding this year's program! Small, easy games that can be run without much preparation or supervision. Ask at the festivalbase! 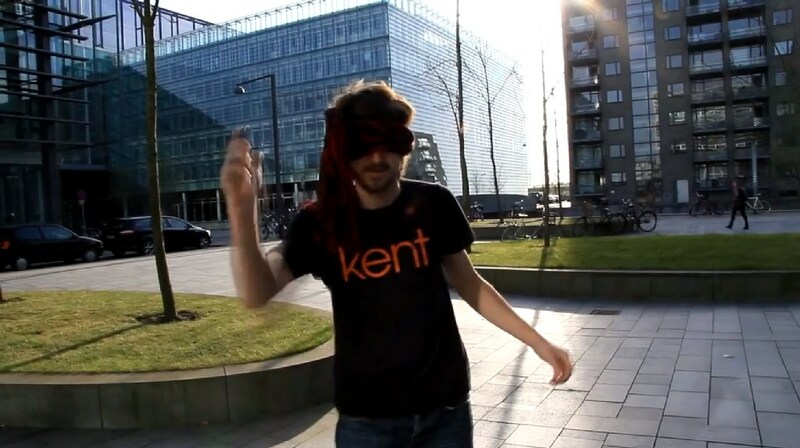 ClearFear Game is a real-life social game in which players are helped to find their own super-powers. By becoming our own superheroes, ClearFear game players tackle missions with the support of a small team to overcome their fears. Together, game players create a secret smiling society which no longer fears fear. With the support of the RSA Catalyst Fund, playmakers industries is working with Martin Webber from the University of York to create the ClearFear game. Along the way, we have harnessed the expertise of people recovering from substance use problems at Kingston Recovery Initiative Social Enterprise and researchers in the Connecting People study team to design the game. This game is about making wishes comes true. But in order to create beauty from scratch, you need to get the right tools and items to feed your imagination. You can either be a dreamer and create an invention, a story or something entirely new and baffling to blow the mind of your audience, or be a trader and maximize your profit by selling your merchandise to the highest bidder. Each player should bring two items that can help make wishes come true – surprise us (you will get them back after the game)! A game for 3 players that lasts 12 minutes. Only one of you can win. Featuring music by The London Snorkelling Team. Coney here represented by Tom Haines, Gemma Saunders, and Tassos Stevens. Once upon a time, there was Yeast who lived on a heater. One day he felt so sour, that he decided to find someone to share his life with. Feeling the same way? Join our game and find new friends for life as well! Form the biggest group of friends while running away from the Freezer that wants to tear you apart. Then come together and build a strong friendship with trust, where everyone has his own place. 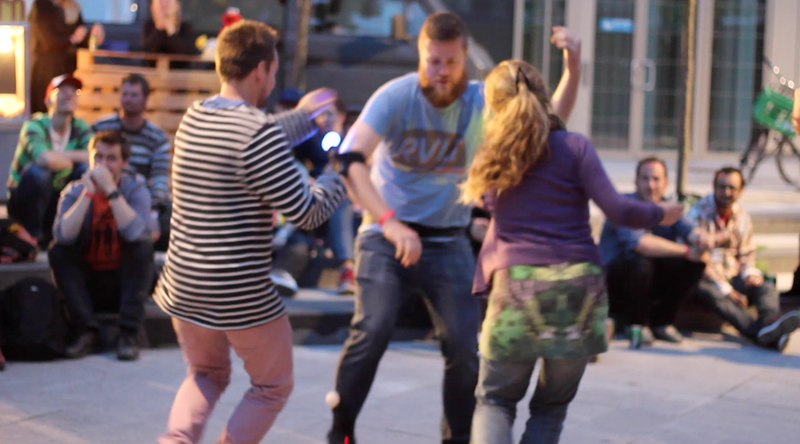 Pervasive games and play can impact on public space in many interesting ways. 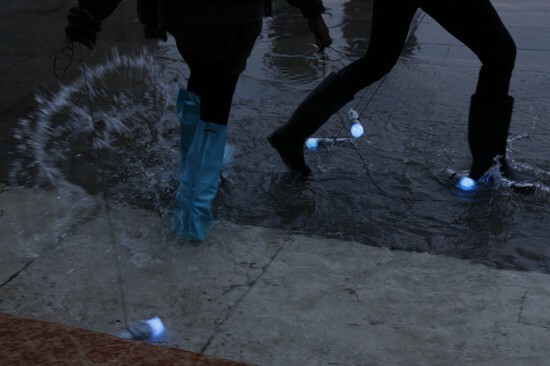 In this talk, Tassos Stevens seeks to outline some of the most interesting approaches for playing in public space in recent years, from various game-designers and performance-makers. He’ll examine the different dimensions of social, cultural and economic impact and how we might demonstrate the evidence for those. And he’ll raise a challenge to all of us in the thick of this new wave of playmaking: when we’re past the first flush of (re)invention of play, what happens next? Why play? A fan of Doctor Who? We are too! Designed by Philipp Ehmann and Abbi Davey from the Street Game Conspiracy, we see the return of the weeping angels, and now they're creepier than ever! Would you rather be the doctor and his companions, or a weeping angel? Armed with a flash light and your eye sight, or your insidiously terrifying moves you must compete to find that one artefact to win the game! Oh, and don't blink! A journey from A to B, in which you are only allowed to travel in the shadow of bypassers! "Remember – always be higher than your enemy, always attack with the sun and always watch your back! 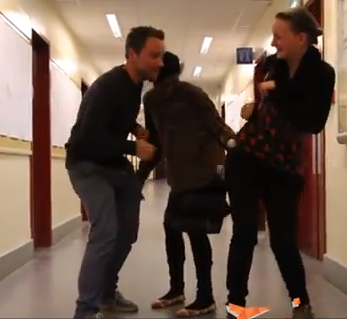 It's also very important to collaborate with other squad members. And never, never cross the enemy line." Between all the freshness of new and cool urban games, the Associazione Giochi Antichi this year brings you their stock of ancient and cool urban games, directly from italy! 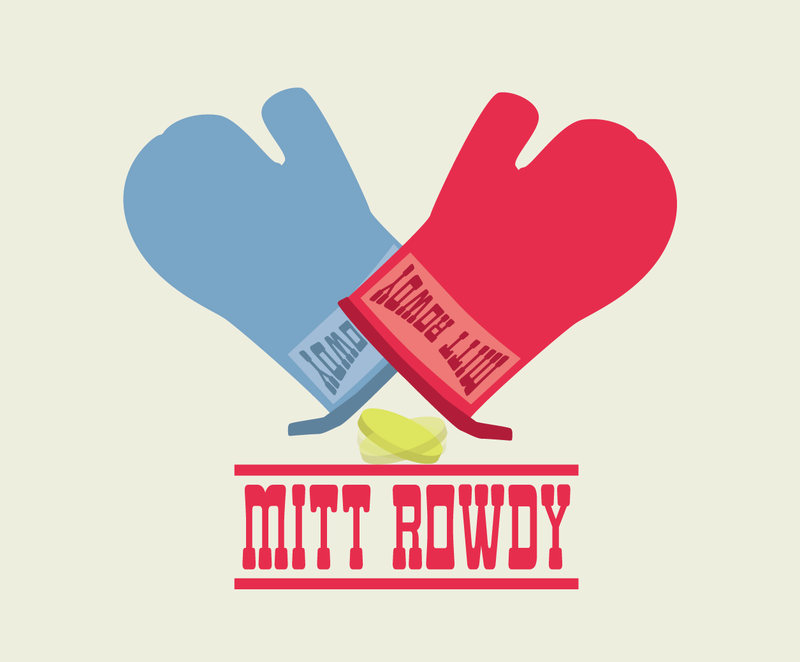 DISCLAIMER: IF YOU GET HURT PLAYING MITT ROWDY, IT'S YOUR OWN FAULT. The city spreads out before you. Rushing from point to point, lit by the slow strobe of fluorescent buses in dark streets. Stumbling into situations for a stranger's signature. Fleeing unknown pursuers, breathing hard, admiring the landscape and the multitude of worlds hidden in it. Hosted by fin and many, many volunteers. In this workshop, open to anyone who is game, Tassos Stevens will share some of Coney's secrets (one especially) for making play in public space. Expect to play on your feet, indoors and outdoors, and that it will be interesting fun. It's the year 2035, since long the authorities have been reporting too many people inhabiting the planet. As a result, a dispute about the question of global food supply has arisen. A group of rebels has decided to step up against the system... Fruchtfleisch (fruit flesh) requires speed, strategy and a sense of team work in order to obtain the fruits of desire. A game between sad dreams of the future, healthy food, community and courage. MINO (Urban Orienteering Event) is is a game we tested successfully for several years. Players are given the game card, in which there is a map with marked points, and photo of details. The task of players is to move the detail to the paper. How to do it? Use a pencil to copy the convex portions (like in childhood, each of us probably copied coins). A game takes 20-30 minutes; players play individually. A new game for any number of players. You'll be outdoors at a location to be announced. You'll need to be able to follow @secretgame on twitter while outdoors. Everything else will be revealed of a secret game to test your wits.